There’s only one thing happier than a happy client, and that’s a happy client who is making more money as a result of their new website. And, in this case, I’m also happy because it’s one of my 1-to-1 Get-It-Done Squarespace Websites. One of the fun, ease-enhancing things in this process was discovering Squarespace’s GoDaddy integration. For all of my previous Squarespace websites, I had to edit the domain’s DNS records with the client’s domain registrar (a minor technical hurdle). This time however, it took just a couple of clicks! I love that kind of ease. 😉 Click here to read the Squarespace Help file if you want more details on how this works. You may or may not know that I did a half-hour video webinar last week on the advantages of Squarespace over WordPress for small business websites. In many cases, these are advantages that can save small businesses $1,000’s. For your convenience and “viewing pleasure” I’m posting the SlideShare for you below; or, if you’ve got a few minutes, you can view the webinar video replay if you click here (registration required). Enjoy! When it’s time for a new website or a redesign, suddenly there are some serious differences to consider when choosing the platform. Specifically, WordPress is no longer a no brainer. I want what’s best for you, and so I research and test technologies so you don’t have to. Websites are a core component of my business, so I especially stay on top of website design platforms in order to offer you the best options. After a very successful run with WordPress, now—for smaller businesses where simplification can save tons of money, time, and aggravation—I am now recommending Squarespace over WordPress. I want you to understand why. 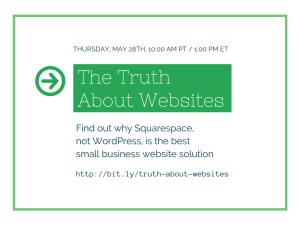 So, I’m doing Free Webinar on the advantages of Squarespace over WordPress. It’s coming up this Thursday, May 28th at 10am PT. Please click here to register or continue reading. 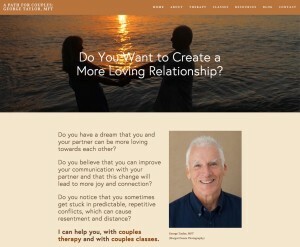 This blog post and the a personal video invitation below—as well as the webinar—include more details. Plain and simple, Squarespace has helped me to help more people in a way that’s more fun, more efficient and more collaborative. 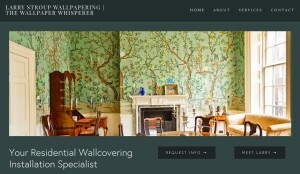 While anyone can use Squarespace in Do-It-Yourself mode—and there’s nothing wrong with that—it has also enabled me to offer 1-to-1 Get-It-Done Websites that are literally one-half the cost of our WordPress customizations (which we still do for larger organizations with more complex needs). We call this kind of collaboration a Done-With-You service vs the more traditional Done-For-You type of service which takes considerably more time—for both the client and the vendor—as well as more money. Please click here if you want to learn more about how this service works. Elegant, beautiful, modern templates that are on a par with the best of WordPress. All templates in the latest version of Squarespace are mobile-friendly and the responsiveness doesn’t break when you customize pages. Because it’s a closed system, maintenance could not be simpler. Upgrades are built in. No plug-ins. No getting hacked. No unexpected expenses. The system is user-friendly so that almost anyone can learn quickly to make their own website updates. Squarespace provides 24×7 support via chat and fast-turnaround email. And all of this is provided without having to research and shop for plug-ins and without needing to worry about possible plug-in conflicts that can be an issue with WordPress when you install and/or upgrade. If you want to understand these benefits better, I hope you will click here to register for free for the webinar where I will explain all of this and show you as much as possible via on-screen video demos—all in less than a half hour. Related blog post: Stress Less & Get It Done! This is just part of one of two testimonials that I’ve already received (published in their entirety below) for a new streamlined and extremely cost effective website design implementation process that I’ve just developed. Despite the fact that I’ve been a WordPress fanboy and advocate for years, this new approach utilizes the Squarespace platform and a unique from of collaboration in order to help people who have been struggling to create a website get one up and running in record time. At the end of day, I am the kind of guy who enjoys finding and recommending simpler solutions that can help small businesses to be more effective online, and I want to help them to do more more easily, with a minimum of stress. That’s why I’ve developed this entirely new approach. The name for this offer was inspired by copy-writing coach and friend, Lisa Canfield, who says that when she’s collaborating with clients, “I’m working one-on-one and just gettin’ it done.” With Lisa’s permission, I’ve decided to call my new offer: “1-to-1 Get-It-Done Websites.” Cool name, eh? Much to my own surprise, I’ve discovered that I can help small businesses get entire websites (or at least most of it) designed and produced within a single one-on-one session (either in person or via screen sharing). 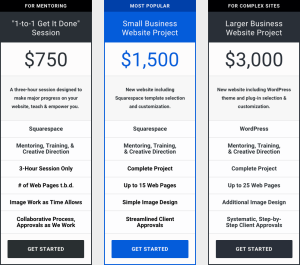 Without marketing this offer, I’ve already completed two of this new kind of website design session. It’s been fun for me, and I’ve thoroughly enjoyed the process due to the joy of collaboration, the satisfaction of being extremely productive (so many people get stuck in the process of trying to get a website done), and rewarding for both me and the client because of the tangible, visible results. If you are interested, please scroll down to the end of this post for a special savings offer that is only available for the next three clients who commit to doing a 1-to-1 Get-It-Done Website design session. 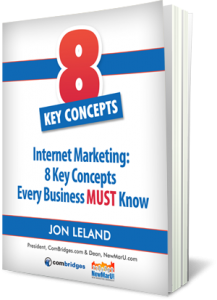 I’m very pleased with the 1-to-1 Get-It-Done Website session that I just did with Jon Leland at ComBridges. 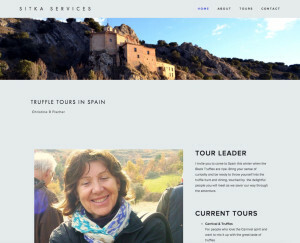 In less than the time it takes to play a round of golf, we had my new website designed and published. I particularly enjoyed the collaborative process with Jon. We were able to share, implement and execute ideas together; and I’m very excited about the result. Prior to this session, I had wasted many hours over a couple of months trying to update my website, but I could’t get the look that I wanted. I finally reached out to Jon and in just one afternoon, he saved me a ton of time, money and effort. In my opinion, the combination of Jon’s expertise and this streamlined process is a real winner. 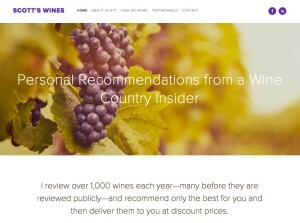 If you want to get your website done with a minimum of stress, I don’t think there’s a better way. Sitting together with Jon Leland for three short hours, brainstorming a plan, bouncing ideas off each other as we collaborated every step of the way, and then watching them materialize as eight beautiful webpages was a thrill and delight. Who knew that creating a new website could be so fast, easy, affordable and fun? Jon is a master of all things internet, and he brings a warm and enthusiastic spirit of partnership and creativity. 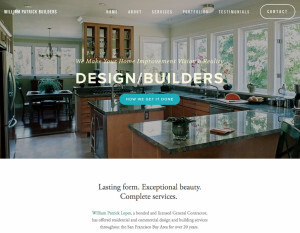 If you are looking for help designing a quick new website, look no further. An added benefit was being exposed to the Squarespace platform as we went along. This has made it easy for me to make changes and additions on my own afterwards. 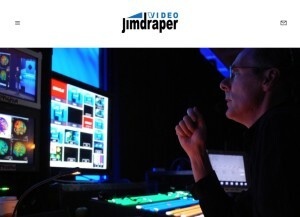 Thank you, Jon, I am very excited to finally have a new website that I can be proud of! You’ll be amazed at how productive we can be together with this platform and approach. Together, you and I will collaborate and build the foundation of your new site’s structure and your new site’s look and feel based on one of Squarespace’s beautiful templates. If you would like more details about how this works, please check out this page for more info. The “Get Details” link at the bottom of that page provides a complimentary worksheet that will set you up for an efficient and productive session. Thanks! I look forward to your feedback, and please let me know if you have any questions. Ready for take off? It feels that way to me. Astrologers tell me that when Mercury goes direct on Tuesday, it’s “all systems go!” For me, the latest signs of expansion have come in the form of three videos that showed up in my social streams last week. This clips (all embedded for your viewing pleasure below) inspired and uplifted me by reminding me of what life and business is all about. I feel more hopeful and excited about what I am creating that maybe ever before. No kidding. As some of you are aware, I am focusing the foundation of my business marketing communications more and more around my values of ease, fun and authenticity. These videos hit home and struck harmonious chords for me along these lines and then, went deeper. 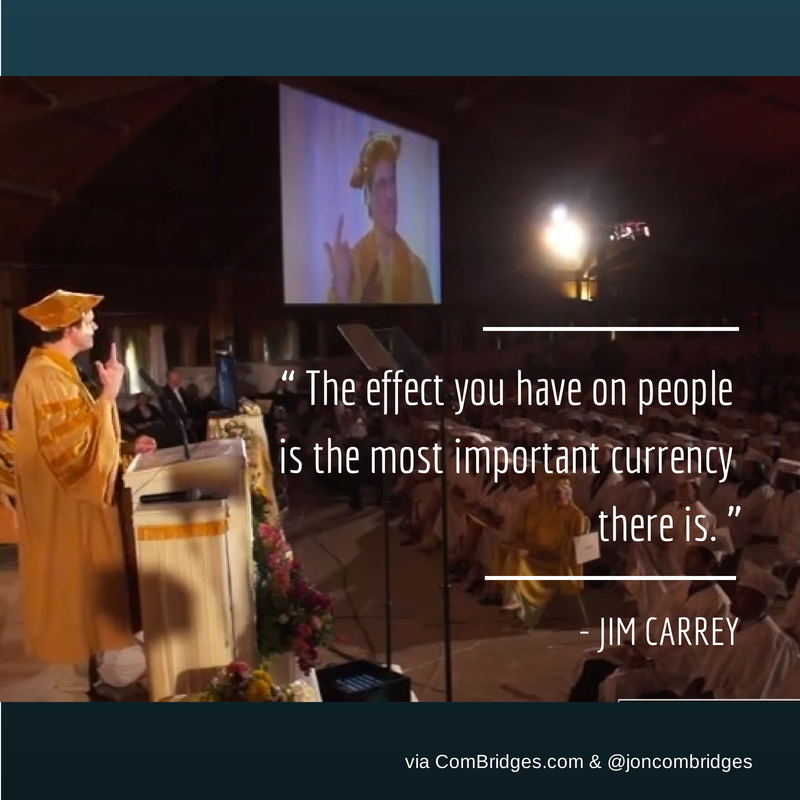 All three speakers—comedian, movie star Jim Carrey; successful entrepreneur Tina Roth Eisenberg a.k.a. SwissMiss; and best selling author of “Red, Hot & Holy,” Sera Peak—are willing to “think different.” Each of these shining examples doesn’t even consider “the box” when they think and, more importantly, they consistently act outside of it. That’s right. It’s not about the money. “The Experience Economy” is based on how people feel, the effect you have on them, when they grant you a bit of their preciously scarce attention. Carrey really walks his talk about “Freedom from Concern” and he implores you to listen to “your joyful heart.” I think what he says is important. Rarely do we see an individual willing to expose her own “Truth Bombs on the Soul Path.” We’ve all had major insights and realizations, and rarely do they make us look good. One of the core values of authenticity is telling the truth no matter what. This video exposes this best-selling author’s learning process on her way to ever-deepening spiritual growth, and she does so with a kind of transparency that I believe uplifts us all. That’s what I call inspiration.